Washington, DC, Nov. 29, 2018 – Washingtonian magazine has named six partners with Phillips & Cohen LLP – Mary Louise Cohen, Erika Kelton, Peter Chatfield, Colette Matzzie, Sean McKessy and Amy Easton – to its “Top Lawyers” list for their work representing whistleblowers. Mary Louise Cohen, a co-founder of Phillips & Cohen, has been called “the queen of qui tam” for her success with False Claims Act cases. She received a “Lifetime Achievement Award” from Taxpayers Against Fraud Education Fund for her important contributions to the field. Erika Kelton is an internationally recognized whistleblower lawyer who secured for an international client one of the largest whistleblower awards from the US Securities and Exchange Commission. She also represented whistleblowers in record-breaking False Claims Act cases, including two that resulted in the largest healthcare fraud settlements ever (GlaxoSmithKline, $3 billion, and Pfizer, $2.3 billion). Peter Chatfield is a leader in the “qui tam” (whistleblower) bar, both in terms of his success with qui tam cases and in his work advising qui tam attorneys on False Claims Act procedures and strategies. His more recent cases have resulted in large settlements from hospitals and blood-testing laboratories allegedly involved in massive kickback schemes. Among the successful whistleblower cases Colette Matzzie has brought is a ground-breaking qui tam lawsuit against the electronic health records vendor eClinicalWorks, marking the first time that an EHR vender was held responsible for violating federal patient safety standards. The lawsuit settled for $155 million in 2017. That case and another one of her cases were featured on the CBS “Whistleblower” series this year. Sean McKessy was the founding Chief of the Securities and Exchange Commission’s Office of the Whistleblower, where he led the effort to establish the policies and procedures the SEC whistleblower program follows. Compliance Week named McKessy one of the 10 “Top Minds” in corporate governance and called him “the whistleblower king” for his work advocating for whistleblowers. Amy Easton is a former federal prosecutor who pursued major healthcare fraud cases. She spearheaded a case where over 500 hospitals in 43 states collectively paid $280 million to settle. Easton was awarded the “Public Private Partnership Award” by Taxpayers Against Fraud Education Fund and the Special Commendation Award by the Department of Justice. 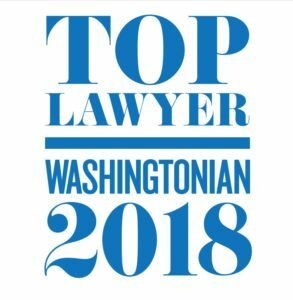 Washingtonian recognizes the top tier of practicing attorneys in the Washington, DC, metro area, highlighting the top lawyers in 20 legal practice areas. The magazine compiles the list based on recommendations from previous years’ honorees, independent research and recent work by the attorneys. Phillips & Cohen LLP is the nation’s most successful law firm representing whistleblowers, with recoveries from its cases totaling more than $12.3 billion in civil settlements and criminal fines. The firm represents whistleblowers in qui tam cases brought under the False Claims Act as well as in the whistleblower programs of the SEC, the Commodity Futures Trading Commission and the Internal Revenue Service. For more information, contact Phillips & Cohen.